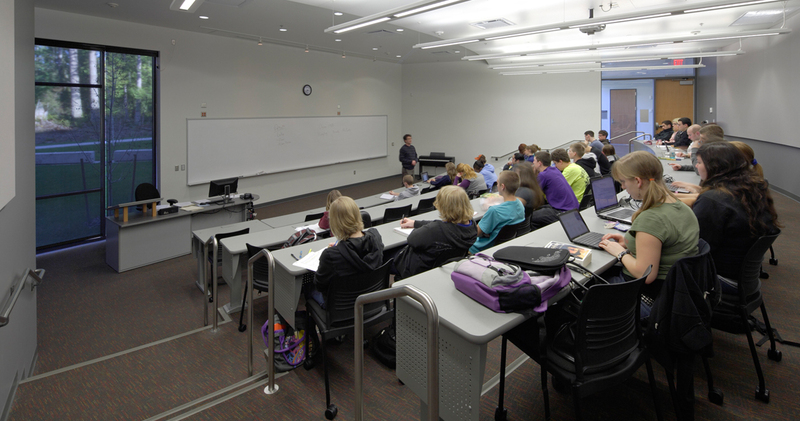 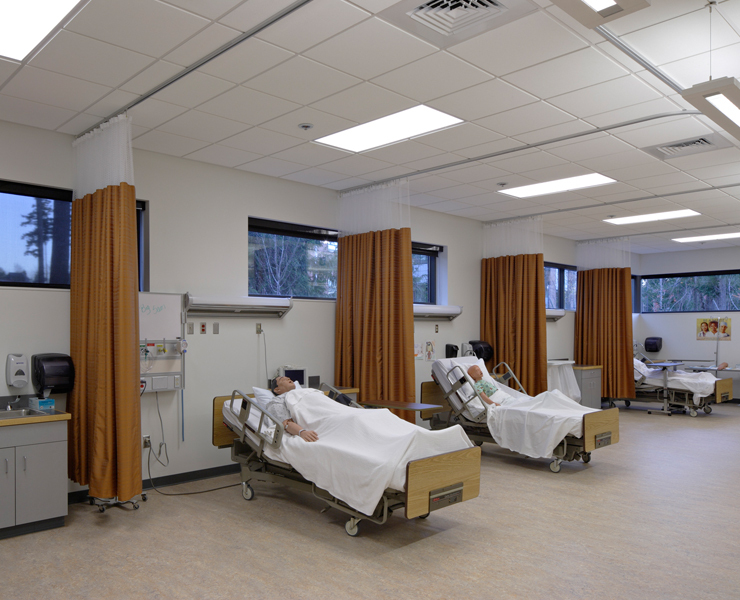 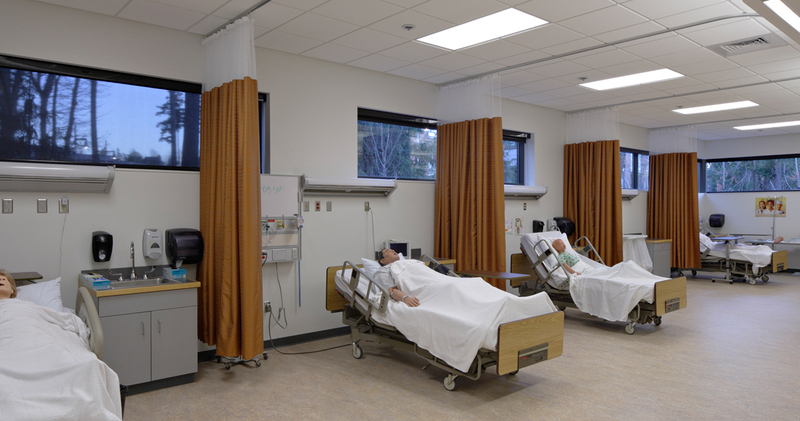 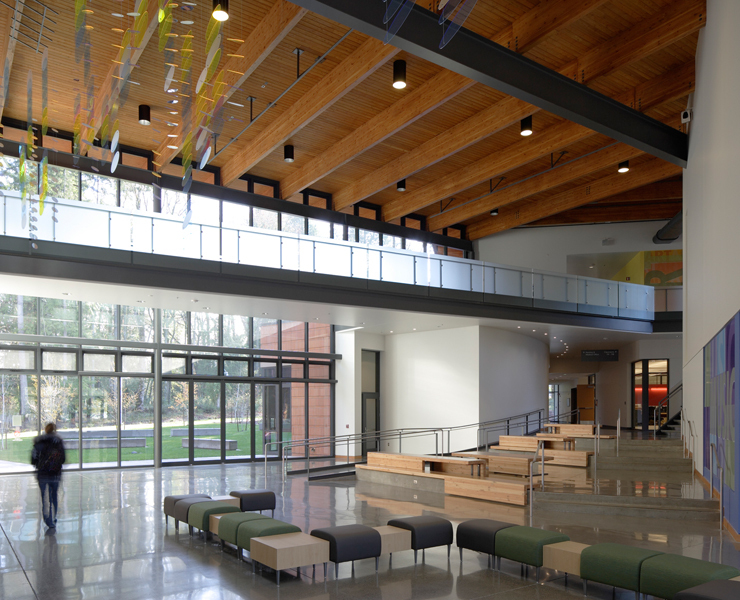 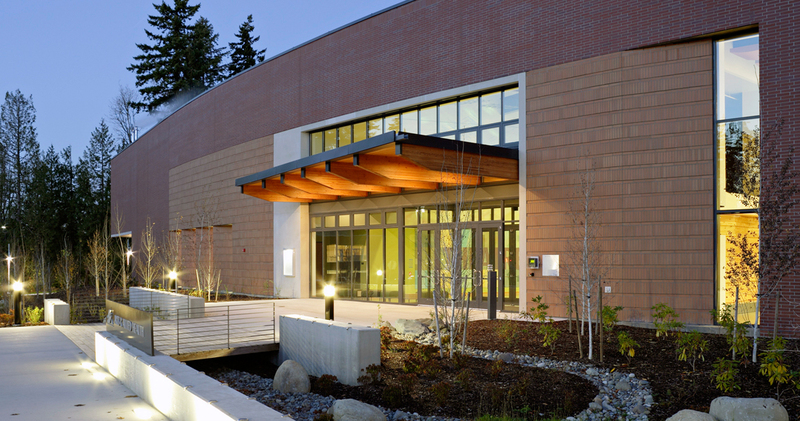 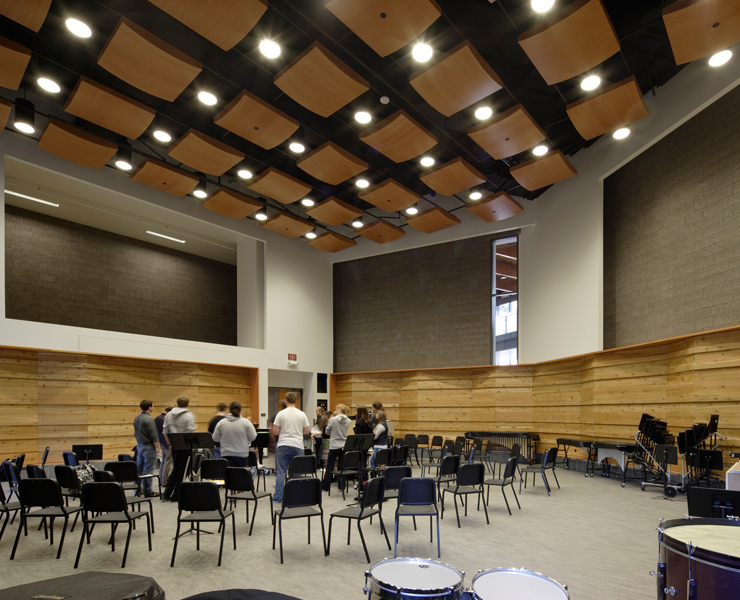 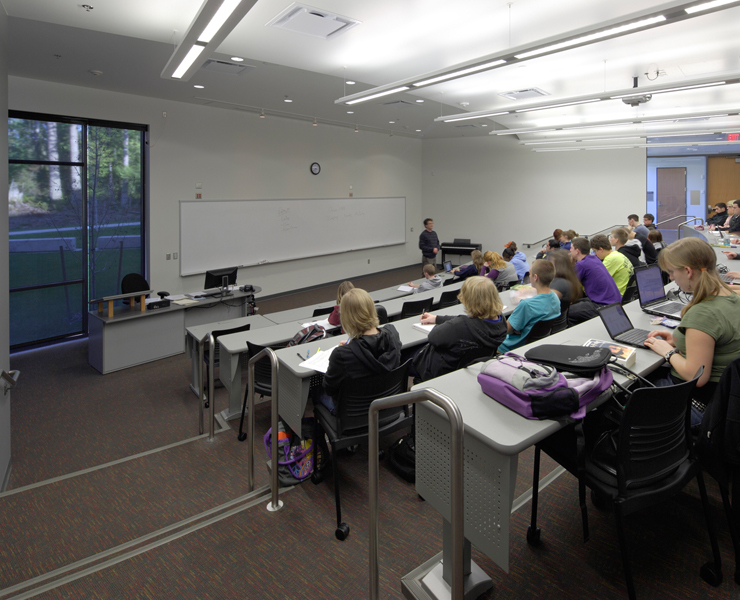 The Performing Arts and Allied Health Building unites multiple disciplines into a hybrid facility that provides the campus and surrounding community with state-of-the art instructional spaces and a premiere performing arts center. 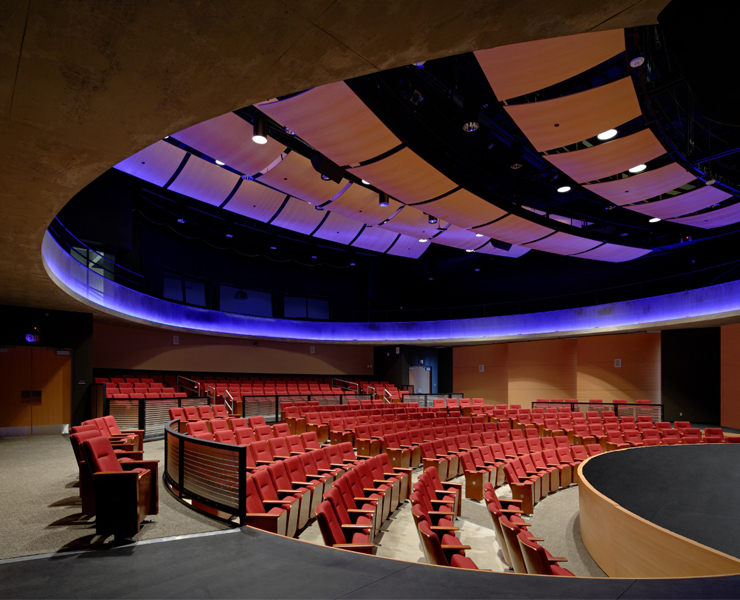 The 61,600 sf LEED Gold certified building incorporates a variety of sustainable strategies including: a displacement ventilation system in the main theatre, radiant and chilled slabs, on-site stormwater retention, water-saving low flow and waterless fixtures, healthy and renewable materials and finishes, dashboard displays of energy savings and green housekeeping program. 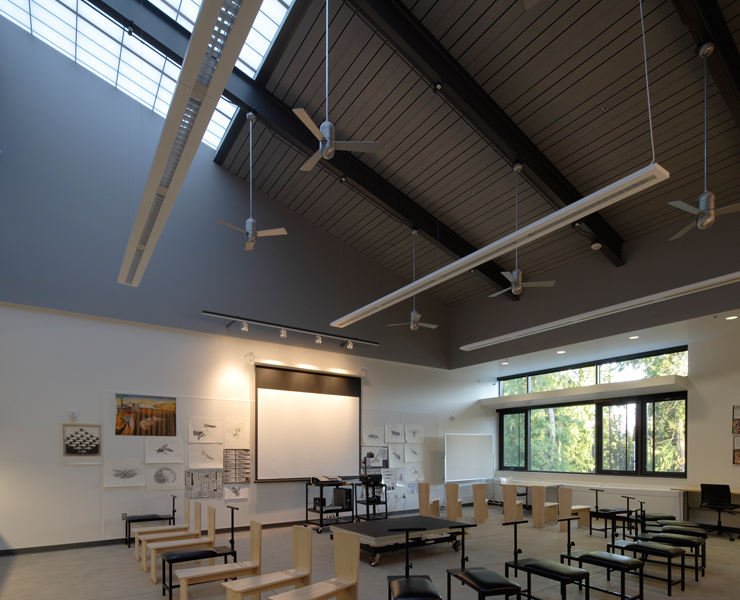 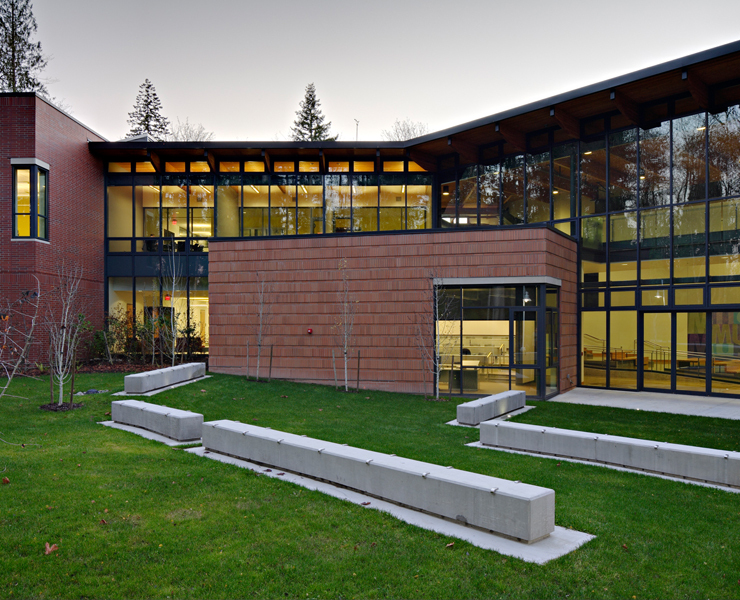 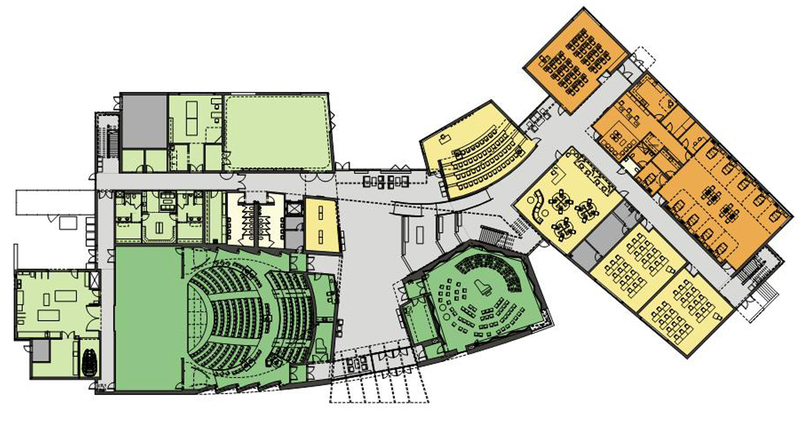 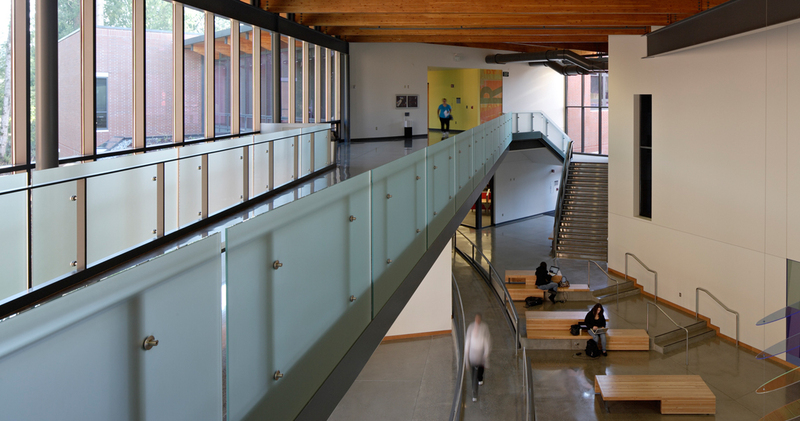 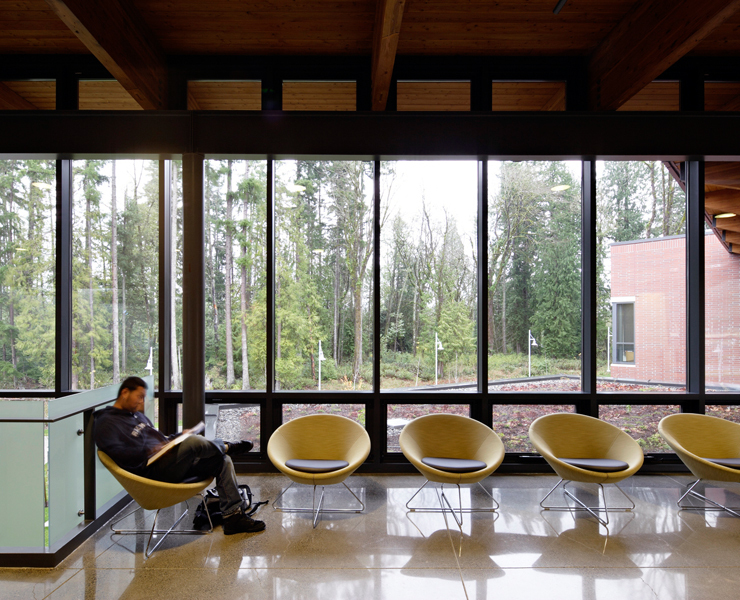 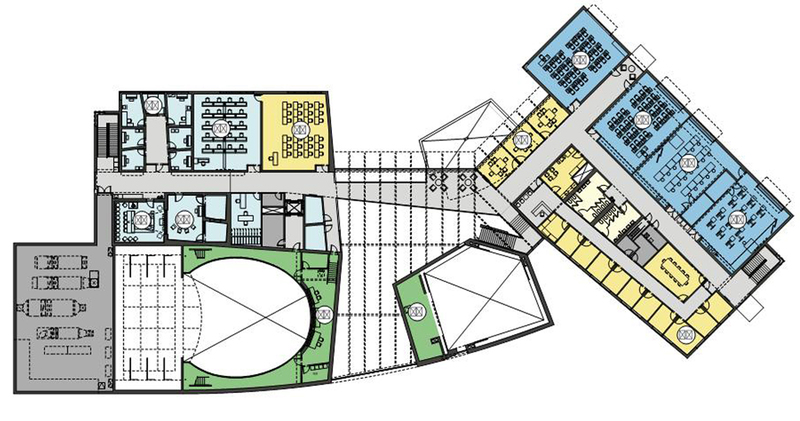 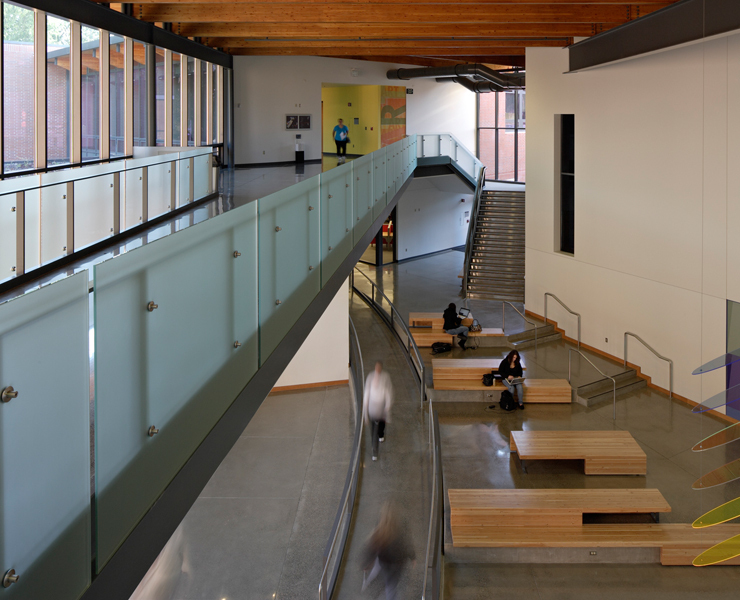 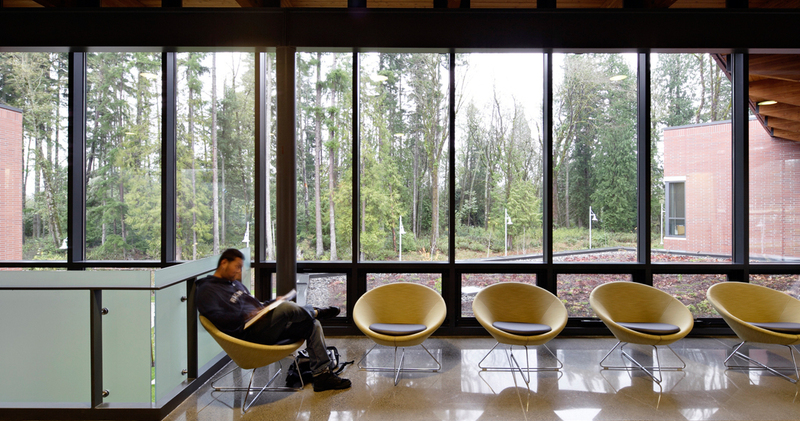 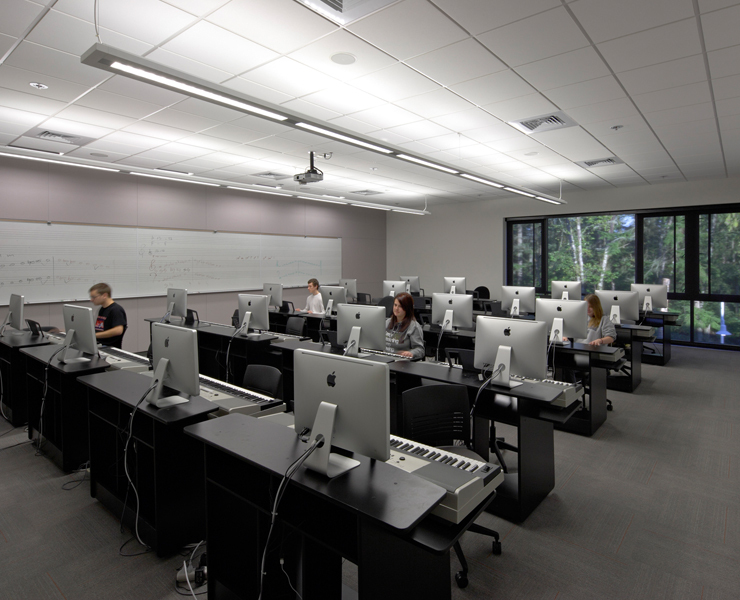 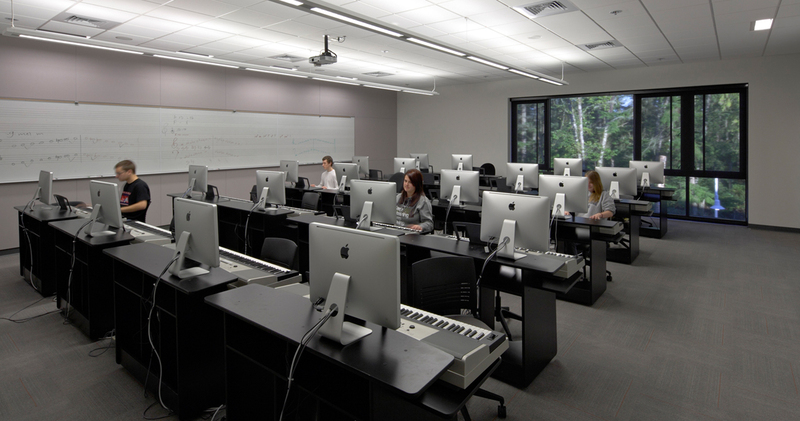 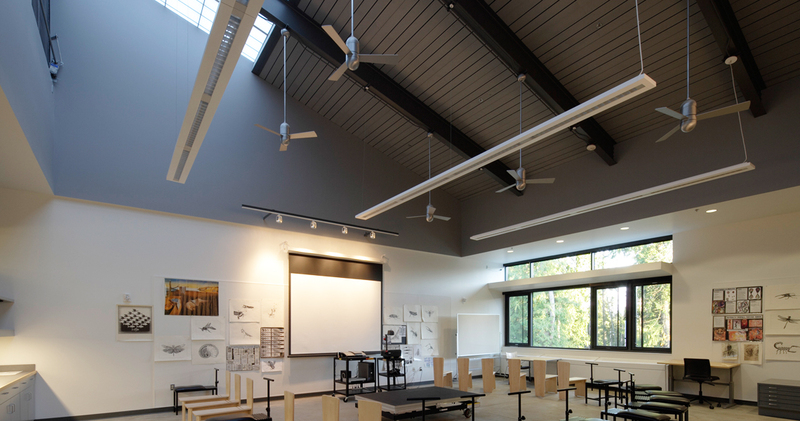 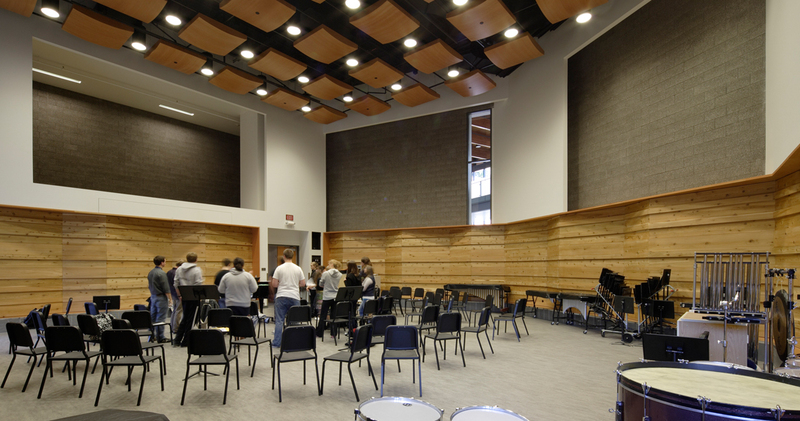 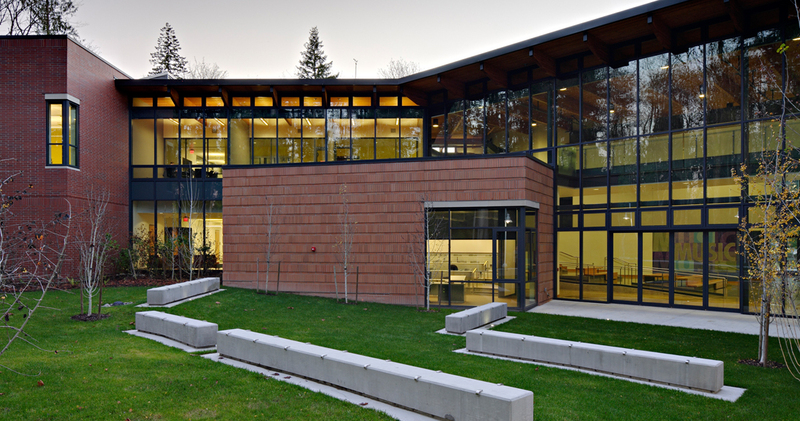 Housing the College’s music, drama, digital arts and nursing programs, the blended facility required a highly collaborative planning process with faculty from multiple disciplines, promoting overlap and shared use of many spaces. 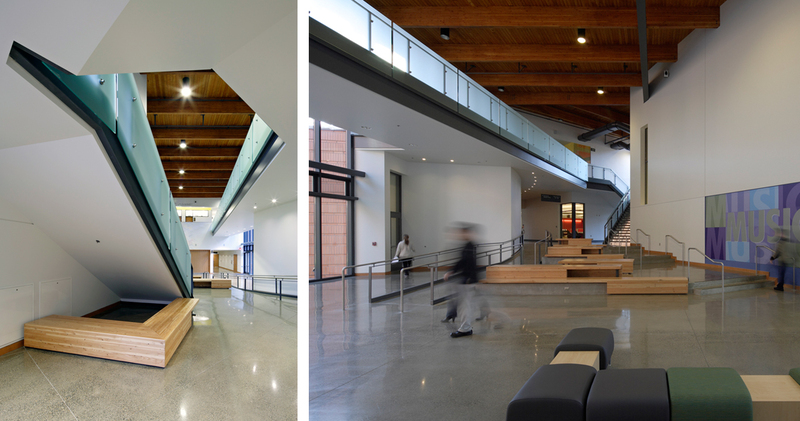 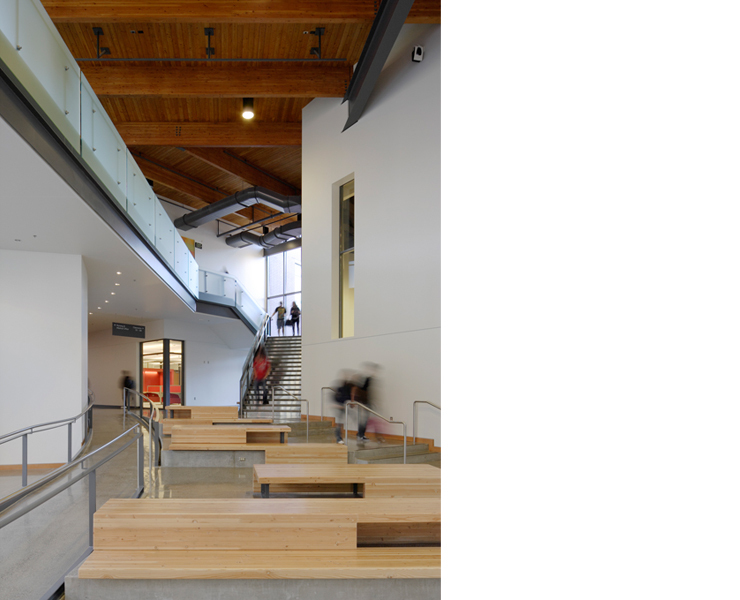 The facility incorporates a 295-seat multi-use theatre, multi-media lab, classrooms, informal learning spaces and a light-filled, two-story atrium lobby that provides for the various programs, opportunities for gathering, and gallery event space. 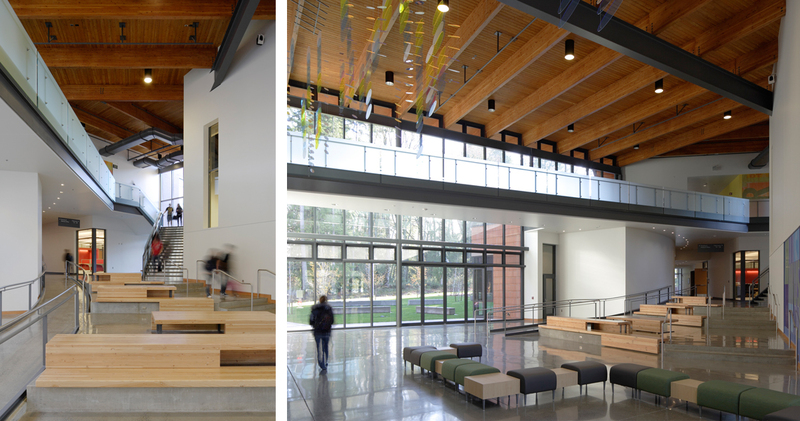 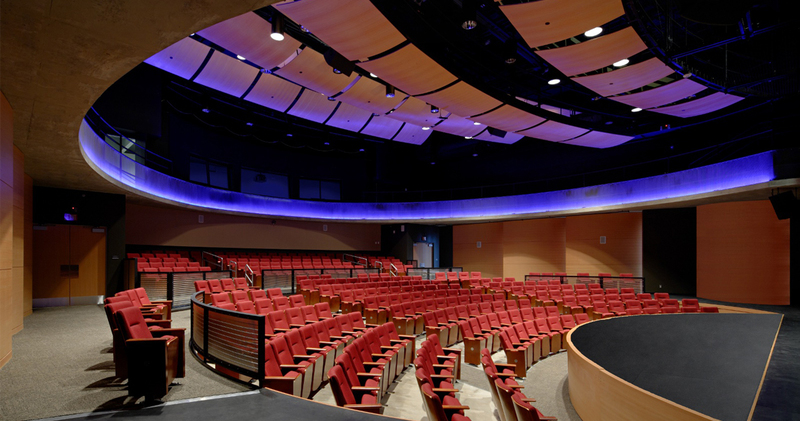 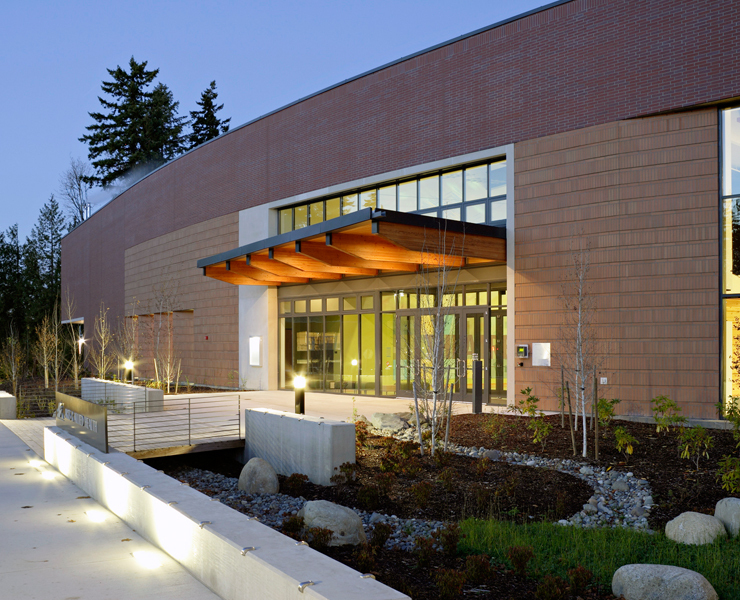 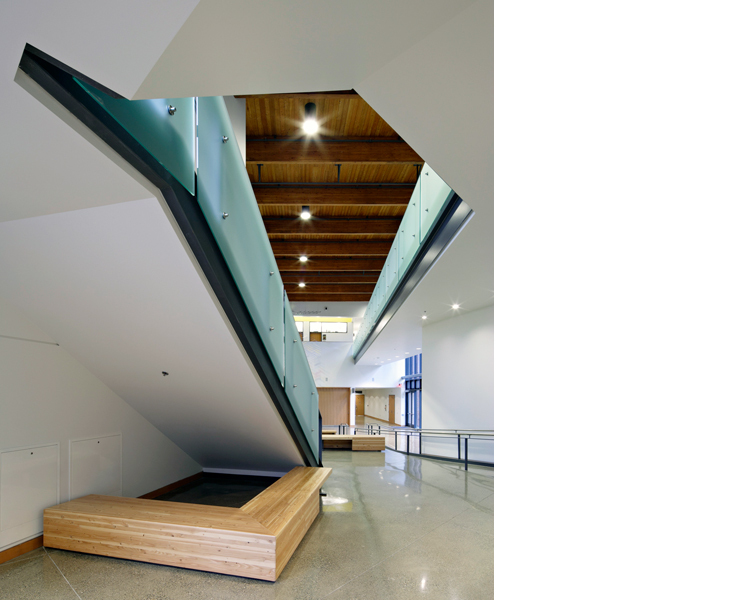 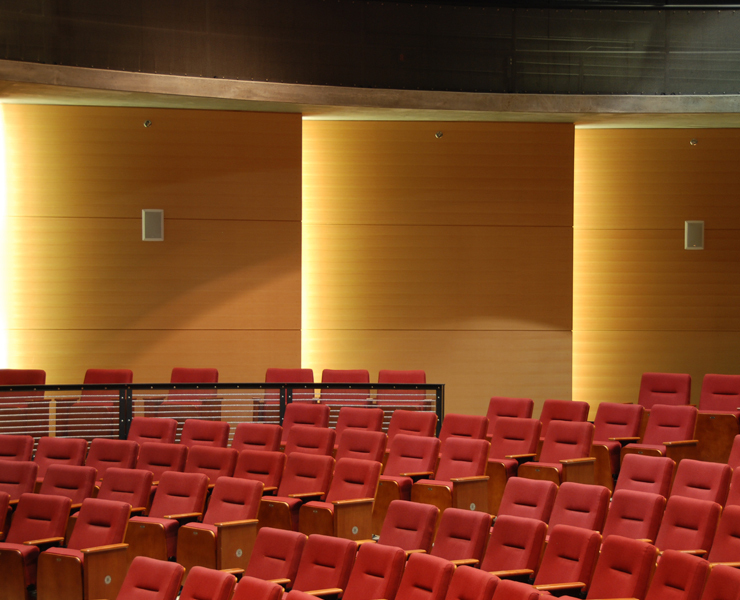 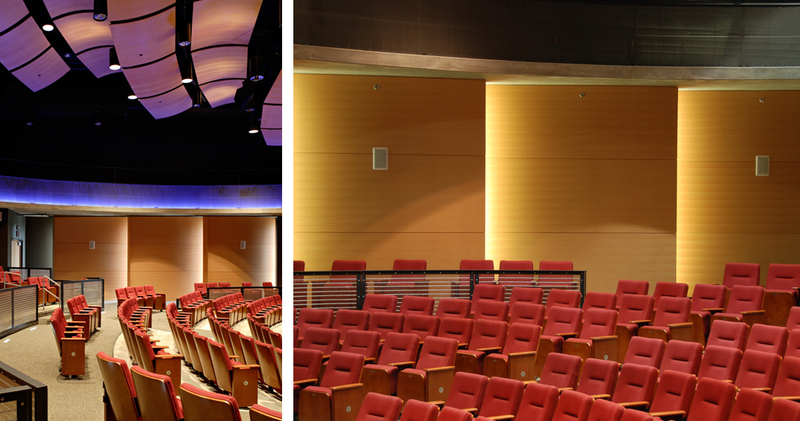 Opsis worked with The Shalleck Collaborative Theatre Consultant on the project. 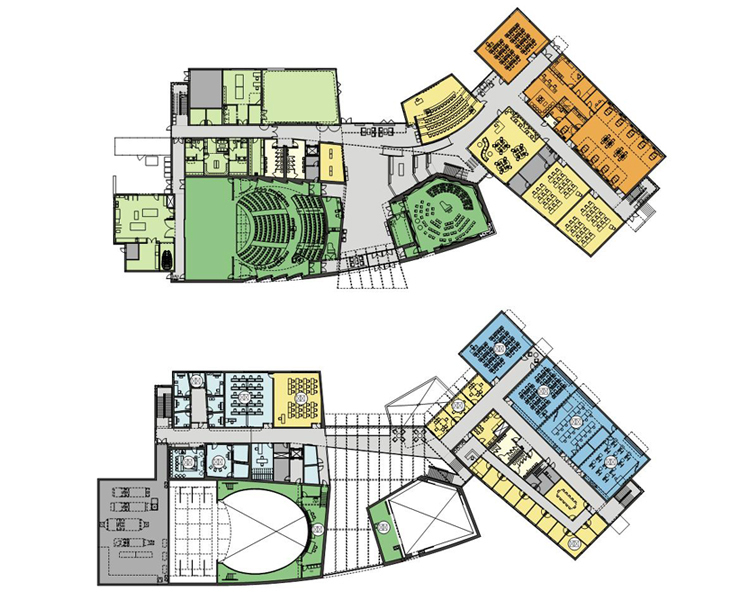 Opsis with MSGS Architects completed both the pre-design and final design.